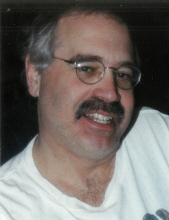 Michael F. Brunner, “Mike,” “Wali” age 63 of Hartford, Wisconsin passed away unexpectedly in his home Wednesday, October 24, 2018. Mike was born on November 15, 1954 to Adoree T. (nee Roberts) and Galen F. Brunner in Medford, WI. He enjoyed playing basketball, baseball, and football in his high-school years. He continued to play soft-ball in his 20’s and 30’s. He also enjoyed gardening and canning what he harvested from his gardens, and fishing. With his parents and family he owned and operated Furniture Doctors, Brunner Investments, and Brunner Furniture in Hartford for over 40 years. He was a great annual supporter of Hartford’s Shoot-For-A-Cure. Mike is survived by his loving children, Angela, Daniel, Rebecca, Elizabeth, and Sarah Brunner; 2 cherished grandchildren, Cameron and Elliott Brunner; dear siblings, Lee (Peggy) Brunner, Gail (John) Schachtner, and Peter (Star) Brunner; and ex-wife and friend, Janet Brunner. He is further survived by other relatives and friends. He is preceded in death by his parents, Galen and Adoree Brunner and several aunts and uncles. A private inurnment will be held at a future date in Holy Rosary Mission Cemetery in the Town of Molitor, Wisconsin. In lieu of flowers, memorial contributions received in Mike’s memory will benefit an organization that supports gardening and feeding families in need. To send flowers or a remembrance gift to the family of Michael F. Brunner, please visit our Tribute Store. "Email Address" would like to share the life celebration of Michael F. Brunner. Click on the "link" to go to share a favorite memory or leave a condolence message for the family.